Edition: 50 unnumbered on the print. Note: In 1974 Marguerite and Georges Duthuit, daughter and son in law of the artist, began plans to publish a work on primitive art. Une Fete en Cimmerie was a poetic essay by George on the subject of the Eskimoes. Matisse became involved since much of his oeuvre was concerned with a similar subject matter. 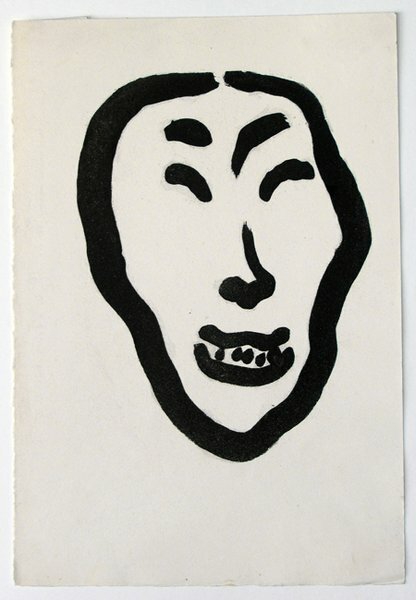 Our aquatint depicts an Eskimoes head influenced by the art of those peoples. Original Aquatint, 1964, on velin Rives paper, neither signed nor numbered.